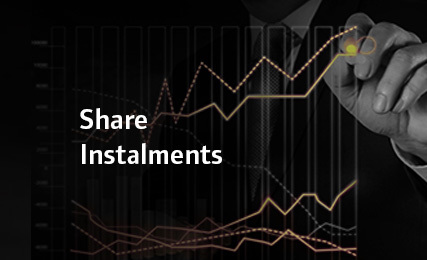 Share Instalments are instruments that allow investors to gain exposure to some of the JSE Limited’s leading companies. The holder of the Share Instalment enjoys many of the benefits (capital growth and dividends) of directly owning some of the country’s leading stocks without having to pay the full purchase price on day one. Full Support – We test the system thoroughly on these platforms to make sure all functionality works. Issues on these platforms are supported entirely. Problems on these browsers will be treated with priority and be resolved as speedily as possible. 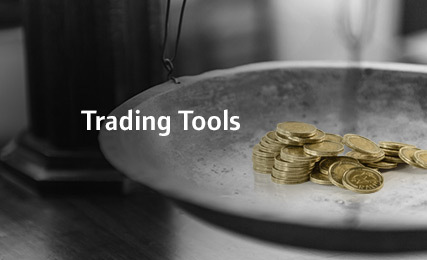 Best Effort Support – We perform partial system tests on these platforms to make sure that the most important functionality (that activities directly related to placing trades) works. Issues on these platforms are supported on a best effort basis. We will endeavour to resolve problems on these browsers that are brought to our attention in the next release. No Support – We do not test on these platforms. The application may work but we cannot guarantee that. We will consider issues on these platforms on an ad-hoc basis but cannot guarantee resolution. • Click here for a free download of the latest Internet Explorer browser from Microsoft's website. PDF file format • Documents used in this website are stored in pdf format. If you don’t have a pdf reader you can download Adobe Acrobat Reader free from the Adobe website. SBG Securities Proprietary Limited ("SBG Sec"), registration number 1972/008305/07, authorised user the JSE Limited (“JSE”), maintains this website (the "Site") and the services made available thereon ("Services"). By utilising the Services on this Site, you the user, agree that you have reviewed the Site in its entirety, that you have accepted the terms and conditions applicable to the Services, including all legal and regulatory terms and are conversant with and understand such terms and conditions and the applicable local legislation and regulations. From time to time, the Site may be inaccessible or inoperable for any reason, including, without limitation: (a) equipment (hardware) malfunctions; (b) software malfunctions; (c) periodic maintenance procedures or repairs which SBG Sec and/or its third party service providers may undertake from time to time; or (d) causes beyond the reasonable control of SBG Sec and/or its third party service providers which causes are not reasonably foreseeable by SBG Sec and/or its third party service providers. SBG Sec reserves the right at any time to change or discontinue any aspect, service or feature of this Site and/or Services without notice. 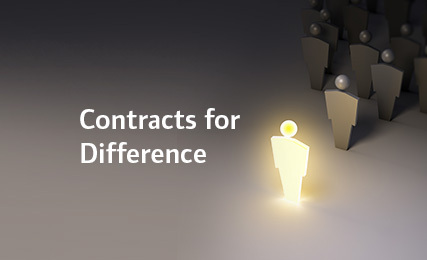 All Services are subject, in addition to these terms and conditions ("Online Terms"), to the requisite terms and conditions of SBG Sec in respect of each service. You hereby warrant to us that you have the required legal capacity to enter into and be bound by contractual terms. Minors must be assisted by their legal guardians when reading these conditions. If you are unsure whether you have the legal capacity to enter into agreements, kindly contact SBG Sec for further information on 0860 121 161 or e-mail [email protected] before you continue using this Site. Copyright subsists in this Site and the unauthorised copying, reproduction, distribution, dissemination, sale, publication or other use of this material and the trade marks, logos or service marks (whether registered or not) of SBG Sec shall constitute an infringement of the relevant intellectual property laws. While every care has been taken, no representation, warranty or undertaking (express or implied) is given and neither responsibility nor liability is accepted by SBG Sec or the Standard Bank Group Limited (“SB Group”) or any of SB Group’s subsidiaries, as to the accuracy or the completeness of the information contained herein. All information is provided "as is" and should not be treated as professional or investment advice of any kind. Users must seek independent professional advice prior to taking any action based on the contents of the Site. Any indicative terms provided on this Site are provided for the users information and do not constitute an offer, a solicitation of an offer, invitation to acquire any security or to enter into any agreement, or any advice or recommendation to conclude any transaction (whether on the indicative terms or otherwise) and must not be deemed as such. This Site has been prepared from resources believed reliable by SBG Sec but SBG Sec does not guarantee its accuracy or completeness. The user acknowledges that it has read and accepted the terms of the Dealing Mandate ("Mandate") and the Rules and Directives of the JSE applicable to the relevant Service used on this Site. The user authorises SBG Sec to act on any instruction purporting to emanate from the user whether in written, electronic or any other format. SBG Sec will not be required to authenticate any instruction and SBG Sec shall not be held liable as a result of the unauthorised use of the user's account and/or password, the users password must be kept secret and secure by the user at all times. SBG Sec endeavours to place received orders from clients in the market without delay. In so far as SBG Sec is unable to place the order into the market, it will not be held liable to the user for any loss sustained in whatsoever manner. SBG Sec will use its reasonable endeavours to carry out all securities related instructions received from the user through the Site. However, the user shall not hold SBG Sec liable for, and hereby indemnifies SBG Sec against, any claim arising from the late or delayed processing of the user's instructions, the user agreeing that any such instruction issued through this Site is solely at the user's risk. Users who access and utilise this Site do so on their own initiative and on their own risk, and are responsible for their own compliance with applicable local laws and regulations. SBG Sec reserves the right to reject, in its sole discretion, any application for services contained on this Site. The user acknowledges that a credit risk enquiry may be undertaken by SBG Sec and the user hereby grants its consent thereto. SBG Sec is reliant in certain circumstances on services provided by third parties over which SBG Sec has no control. The user agrees that it will not hold SBG Sec liable for any loss whatsoever, howsoever caused, occasioned through the use of the Services on the Site, the user making use of this Site at its sole risk. SBG Sec may also use the services of other organisations to provide information on the Site. SBG Sec has no control over this information and makes no representations or warranties of any nature as to its accuracy, appropriateness or correctness. The user agrees that such information is provided "as is" and SBG Sec will not be directly or indirectly liable for any damages that may arise from the users reliance on it. All quotes, news, market information or data shown on the Site by way of live information feeds are delayed by at least 15 (fifteen) minutes unless otherwise stated. The user should always select the "refresh" or similar page update function on the users Internet browser to ensure that the information the user is viewing is the most current. This Site may contain links to other websites with information and material produced by other parties. Whilst SBG Sec tries to provide links only to reputable websites, it cannot accept responsibility or liability for the information provided on other websites. A link from our Site to any other website does not mean that it has scrutinised or endorsed the owners or administrators of the websites or their business or security practices and operations. Nobody may establish a hyperlink, frame, metatag or similar reference, whether electronically or otherwise (collectively referred to as linking), to this Site or any subsidiary pages before receiving our prior written approval, which may be withheld or granted (subject to the conditions SBG Sec specifies from time to time). An application for linking must be submitted to [email protected]. Once received, SBG Sec will do its best to respond and enter into further discussions with you. If you don't get a written response from SBG Sec within 5 (five) business days, consider your request rejected. Breach of these conditions entitles SBG Sec to take legal action without prior notice to you and you agree to reimburse the costs associated with such legal action to us on an attorney and own client scale. • the material is used for considering use of the online services and for no other commercial purposes; • any reproduction of our proprietary material from this Site or portion of it must include our copyright notice in its entirety. The logos and trademarks shown on this Site are SBG Sec’s registered and unregistered trademarks or that of third parties. Nothing on this Site should be construed as granting any license or right to use any trademark without our prior written permission and/or that of third parties, as the case may be. You may not, without our prior written permission, use our intellectual property or that of third parties for any other purposes. An application to use our intellectual property must be submitted to [email protected] . Upon receiving your application SBG Sec will do its best to respond and enter into further discussions with you. If you don't get a written response from SBG Sec within 5 (five) business days, consider your request rejected. Irrespective of the existence of copyright, you acknowledge that SBG Sec is the proprietor of all material on the Site, whether it constitutes confidential information or not, and that you have no right, title or interest in any such material. 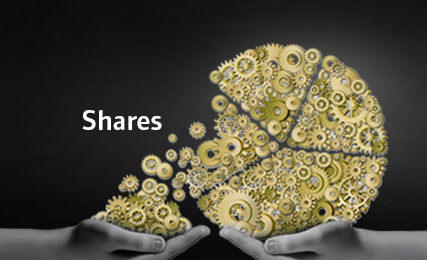 Share and portfolio quotes that are accumulated in the "Quotes Bank" are non-refundable and non-exchangeable/non-transferable. Any unused credits cannot be redeemed upon termination of this service. Any debits will be charged to your account in accordance with the Mandate. A maximum of R100 (one hundred rand) worth of quotes can be accumulated at any time. SBG Sec, or SB Group or any of SB Group’s subsidiaries shall not be liable for any interruption, malfunction, downtime or other failure of or in this Site or any component part of the Site for whatever reason. SBG Sec may modify, suspend or discontinue the Site, whether temporarily or permanently, without notice. It may also impose limits or conditions on the right to certain services, features or functions and it may restrict access to parts of or all of the services on the Site. The user’s address for notices and service of legal process is the address provided by you on the Site or such other address provided by you in writing to SBG Sec. SBG Securities Proprietary Limited (“SBG Sec”) is a wholly owned subsidiary of the Standard Bank Group Limited, an authorised user of the JSE Limited (“JSE”) and an authorised Financial Service Provider (FSP No. 26691). 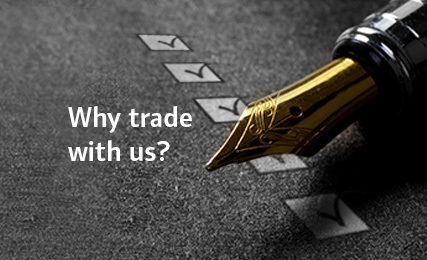 SBG Sec is licensed by the JSE to publish market information on a delayed and live basis. 4. delete this email immediately. Your failure to comply with the aforementioned could be viewed as an unlawful interception of a communication and/or the infringement of a right to privacy, which could result in criminal and/or civil liability. Views and opinions expressed in this email are those of the sender unless clearly stated as those of SBG Sec or SB Group. To unsubscribe please reply to this email with the word UNSUBSCRIBE in subject line, alternatively to unsubscribe from this email service please log onto your online trading account and go to My account on the menu bar and go to My Details/Preferences. Then scroll down to the bottom of the page and deselect the emails you no longer want to receive from us. Copyright SBG Securities Proprietary Limited. All rights reserved. Category I: Shares, Money Market Instruments, Debentures and Securitised Debt, Warrants, Certificates and other Instruments, Bonds, Derivatives Instruments, Participatory Interest in Collective Investment Schemes, Deposits exceeding 12 months, Deposits 12 months or less. OST Call Centre contact details: 0860 121 161 or +27 (0) 11 415 5000 (for International). SBG Sec holds a professional indemnity insurance cover. This material and any publications on this website (“Site”) have been prepared solely for information purposes by SBG Securities Proprietary Limited (“SBG Sec”) and accordingly do not constitute an offer, a solicitation of an offer, invitation to acquire any security or to enter into any agreement, or any advice or recommendation to conclude any transaction (whether on the indicative terms or otherwise) and must not be deemed as such. Whilst SBG Sec has taken care to ensure that the content and services on this Site are accurate, it does not warrant that the Site, any tools such as calculators, software, information, content or other services will be error-free or will meet any particular criteria of accuracy, completeness, reliability, performance or quality and expressly disclaim all such implied warranties. Whilst all reasonable precautions have been taken SBG Sec does not warrant that this Site or any downloads via this Site are free from viruses or destructive code. SBG Sec and any of its affiliates, shareholders, agents, consultants, directors, officers or employees are not liable for any damages whatsoever relating to your use of this Site or the services offered or information made available on this Site or your inability to use this Site or any of the information or services. The views on the Site, unless expressed to the contrary, are the opinion of a trader or sales person only and do not necessarily do not reflect the official views of SBG Sec, nor should such views be considered as investment advice. It is not to be regarded as a “Research Report” under SEC rules or “Investment Research” as defined by FSA rules as it has not been prepared in accordance with legal requirements to promote the independence of investment research and it is not subject to any prohibition on dealing ahead of the dissemination of investment research. • any other event over which SBG Sec has no direct control over. This includes without limitation any direct, indirect, special, incidental, and consequential or punitive damages howsoever arising and regardless of whether SBG Sec was advised of the possibility of such loss or damage. While every care has been taken in publishing information on this Site, no representation, warranty or undertaking (express or implied) is given and neither responsibility nor liability is accepted by SBG Sec and any member of the Standard Bank Group Limited (“SB Group”) or its employee and agents as to the accuracy of the information contained herein. SBG Sec and no member of the SB Group can be held liable for the use of and reliance on these opinions estimates and findings. All opinions estimates and findings contained on this Site may be changed after publication at any time without notice. The information contained on this Site is not intended as advice. Should the information lead you to consider entering into any transaction in relation to the financial product you must take note of the following: there are intrinsic risks involved in transacting in any products; no guarantee is provided for the investment value in a product; any forecasts based on hypothetical data are not guaranteed and are for illustrative purposes only; returns may vary as a result of their dependence on the performance of underlying assets and other variable market factors; past performances are not necessarily indicative of future performances; unless a financial needs analysis has been conducted to assess the appropriateness of the product, investment or structure to your unique particular circumstances, SBG Sec cautions you that there may be limitations on the appropriateness of the information for your purposes and you should take particular care to consider the implications of entering into the transaction, either on your own or with the assistance of an investment professional. Any transaction or agreement to perform certain services that may be concluded pursuant to the content of this Site shall be in terms of and confirmed by the signing of appropriate documentation, on terms to be agreed between the relevant parties. SBG Sec, or an associated company, may have effected or may effect transactions for its own account in any investment outlined in this Site or any associated verbal presentation or any investment related to such an investment. Prospective investors should obtain independent advice in respect of any product detailed on this Site, as SBG Sec provides no opinion or advice including investment, tax or legal advice and makes no representation or warranty about the suitability of a product for a particular client or circumstance. SBG Sec will only provide investment advice if specifically agreed to by SBG Sec in appropriate documentation, signed by SBG Sec. This information is to be used at your own risk. There may be various tax implications to consider when investing in the product and you must be aware of these implications before investing. SBG Sec and SB Group and any of SB Group’s subsidiaries do not accept liability for the tax treatment by any court or by any authorities in any jurisdiction in relation to any transaction based on the information. It is strongly recommended that individual tax advice be sought before entering into any such transaction. Members of SB Group, SBG Sec or any SB Group’s subsidiaries, their directors officers and employees may have long or short positions in currencies or securities mentioned on this Site or related investments, and may add to, dispose of or effect transactions in such currencies, securities or investments for their own account and may perform or seek to perform advisory or banking services in relation thereto. The contents of the Site may not be copied or reproduced in whole or in part without the prior consent of SBG Sec or SB Group. The investment services and information (the "Services") available on this Site are only available to residents of the Republic of South Africa ("RSA") and legal entities incorporated in terms of the laws of the RSA (collectively referred to as "RSA residents"). Any use or attempted use of the Services by anyone else could result in civil action or criminal prosecution. Without prejudice to the foregoing, the use or attempted use of the Services by persons or entities of the United States of America, Canada, the United Kingdom, Australia or Hong Kong are hereby expressly prohibited. None of the products or services listed on this website (“Site”) is being offered to any natural person resident there, or any corporation, partnership, limited liability company, business or other trust, association, joint-stock company, fund or any form of enterprise similar to any of the foregoing, in each case that is organised or incorporated under the laws of the United States, or any other person or entity that would otherwise constitute a US Person. 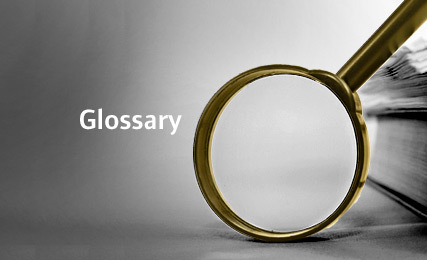 The source of some information is the JSE Limited ("JSE"). JSE and the JSE logo are trademarks of the JSE. Such information is the proprietary information of the JSE. All copyright subsisting in the information vests in the JSE. All its rights are reserved. 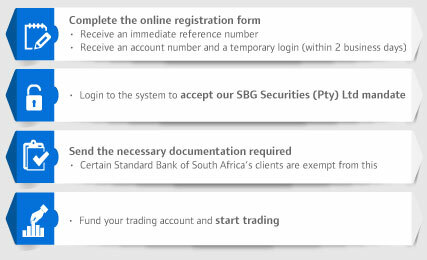 SBG Securities Proprietary Limited (“SBG Sec”) is licensed by the JSE to publish the information on a delayed and live basis. The JSE shall not be responsible for any error or omission in the information. All copyright and database rights in the information belong to the JSE. Re-distribution of the data comprising the information is not permitted without the express prior written consent of the JSE. You agree to acquaint yourself with and comply with any restrictions and/or conditions imposed upon the use, access, or storage of the information as may be required by the JSE or SBG Sec including the condition that in certain circumstances you will be required to enter into a separate agreement with the JSE or SBG Sec. If you wish to enter into a mandate with SBG Securities Proprietary Limited (“SBG Sec”) relating to Over-The-Counter (OTC) Derivatives, you must read the Statutory Disclosure Statement of SBG Sec in terms of the Financial Advisory and Intermediary Services Act No. 37 of 2002 (“FAIS”) which is available here. If you have entered in an OTC Derivatives mandate with SBG Sec as contemplated above, SBG Sec will assume that you have read and understand the FAIS Statutory Disclosure Statement and you will at all times be deemed to have read and understood the FAIS Statutory Disclosure Statement. (iv) any other service providers that SBG Sec, in its sole discretion may appoint, (collectively “the Services”). By entering and your use of these Services you acknowledge and accept that you know and understand the contents of the terms and conditions applicable to these Services and you confirm by entering this Site and/or by accepting and/or utilising the Services, that you agree to be bound by the foregoing terms and limitations. If you do not understand the contents of the terms and conditions or if any of the terms and conditions are unacceptable, you should exit and should not make use of these Services. The Reports are issued by Third Parties and SBG Sec plays no part in the collation and research of the information and material contained in the Reports. SBG Sec is only a platform provider and makes available such Reports on the Site and you must take every care if using it as part of any investment decision. The Reports may provide the addresses of, or contain hyperlinks to, websites. Except to the extent to which the Reports refers to website material of SBG Sec, SBG Sec has not reviewed the linked websites and takes no responsibility for the content contained therein. Accessing such website(s) or following such link/s through the Reports shall be at your own risk. The Reports are not to be relied upon in substitution for the exercise of independent judgment. SBG Sec may have issued, and may in the future issue, a trading call regarding the security contemplated in the Reports. In addition, SBG Sec may have issued, and may in the future issue, other reports of its own or publish Reports of differing Third Parties that are inconsistent with each other, and reach different conclusions from the information presented in the Reports. The Reports do not constitute an offer or the solicitation of an offer for the sale or purchase of any security. SBG Sec does not guarantee, no give any representation, warranty or undertaking (express or implied) to the sequence, accuracy, or completeness or any other aspect of the Reports nor shall SBG Sec or any member of the Standard Bank Group Limited (“SB Group”) including, inter alia, any of their directors, officers, employees or agents be liable in any way to any person (natural or juristic) whatsoever for any delays, inaccuracies, errors in, or omissions in respect of such Reports or the transmission thereof. SBG Sec shall not be held liable under any circumstances whatsoever for any losses and/or damages suffered as a result of any investment decision taken and/or any reliance placed on the information contained therein. SBG Sec accepts no liability for loss arising from the use of the material presented in the Reports. Any member of the SB Group cannot be held liable for the use of and reliance on the opinions, estimates and findings. All opinions, estimates and findings contained in the Reports may be changed after distribution by the Third Parties at any time without notice. The Reports have been prepared in accordance with local regulations which may differ from the requirements of US, UK and European regulations. In distributing the Reports to you, SBG Sec does not hold this out to be impartial (objective) as it may have been prepared by persons who may be exposed to conflicts of interest. You should be aware that the Reports might have been originally disseminated by the Third Parties to its clients other than SBG Sec. As such, employees and clients of the Third Parties and any persons connected with it may have had the opportunity to act upon the information contained in the Report. SBG Sec, other affiliated companies of the SB Group and directors and employees of these companies may from time to time have a long or short positions in the securities mentioned in the Reports and may add to or dispose of such securities. The recipients of the Reports are urged to seek independent advice with regard to the securities and investments referred to in the report. By accepting the Reports, you agree to be bound by the foregoing terms and limitations. The Corporate Action notices may provide the addresses of, or contain hyperlinks to, websites (the “Corporate Actions Site”). Whilst the Corporate Actions Site may include SBG Sec branding and logos, it is operated by a Third Party. SBG Sec takes no responsibility for the content contained therein. Accessing the Corporate Actions Site or following such link/s through the Corporate Action notices shall be at your own risk. SBG Sec accepts no liability for any loss arising from the Corporate Action notices and/or the Corporate Actions Site save only for the instances in which such loss has arisen as a result of gross negligence on the part of SBG Sec. SBG Sec shall not be held liable under any circumstances whatsoever for any losses and/or damages suffered as a result of any investment decision taken and/or any reliance placed on the information contained therein or your inability to use the Corporate Actions Site or any of the information or services. You must take all steps necessary to ensure that you make an informed decision with regards to corporate actions and the implications thereof. Whilst SBG Sec has taken care to ensure that the content and services on the Corporate Actions Site are accurate, it does not warrant that the Corporate Actions Site, any tools such as calculators, software, information, content or other services will be error-free or will meet any particular criteria of accuracy, completeness, reliability, performance or quality and expressly disclaim all such implied warranties. Whilst all reasonable precautions have been taken SBG Sec does not warrant that Corporate Actions Site or any downloads via same are free from viruses or destructive code. This includes without limitation any direct, indirect, special, incidental, and consequential or punitive damages howsoever arising and regardless of whether SBG Sec was advised of the possibility of such loss or damage. While every care has been taken in publishing information on Corporate Actions Site, no representation, warranty or undertaking (express or implied) is given and neither responsibility nor liability is accepted by SBG Sec and any member of the SB Group or its employee and agents as to the accuracy of the information contained therein. SBG Sec and no member of the SB Group can be held liable for the use of and reliance on these opinions estimates and findings. All opinions estimates and findings contained on Corporate Actions Site may be changed after publication at any time without notice. The information contained on Corporate Actions Site is not intended as advice. 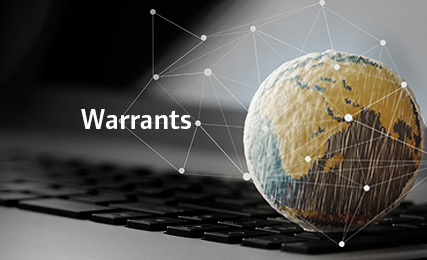 You hereby indemnify any applicable Third Party against any demand, claim or action against the company relating to or in connection with any use of the information, data, Reports, Corporate Action Site or opinion supplied, whether such demand, claim or action arises directly or indirectly. SBG Securities Proprietary Limited’s (“SBG Sec”) equity research report (“Report”) is not directed to, or intended for distribution to or use by, any person or entity who is a citizen or resident of or located in any locality, state, country or other jurisdiction where such distribution, publication, availability or use would be contrary to law or regulation or which would subject SBG Sec to any registration or licensing requirement within such jurisdiction. All material presented in the Report, unless specifically indicated otherwise, is under copyright to SBG Sec. None of the material, nor its content, nor any copy of it, may be altered in any way, transmitted to, copied or distributed to any other party, without the prior express written permission of SBG Sec. All trademarks, service marks and logos used in the Report are trademarks or service marks or registered trademarks or service marks of SBG Sec or its affiliates. The Report does not constitute an offer or the solicitation of an offer for the sale or purchase of any securities as discussed therein or at all. While every care has been taken in preparing the Report, no representation, warranty or undertaking (express or implied) is given and neither responsibility nor liability is accepted by any member of the Standard Bank Group Limited (“SB Group”), its employees and agents, as to the accuracy of the information contained herein. No member of the SB Group, including but not limited to SBG Sec, shall be held liable for the use of and reliance on the opinions, estimates and findings. SBG Sec, the SB Group and its subsidiaries and directors and employees of these companies may from time to time have long or short positions in the securities mentioned in the Report and may add to or dispose of such securities at their discretion without notice. SBG Sec accepts no liability for loss arising from the use of the material presented in the Report, except that this exclusion of liability does not apply to the extent that liability arises under specific statutes or regulations applicable to SBG Sec. The Report is not to be relied upon in substitution for the exercise of independent judgment. SBG Sec may have issued, and may in the future issue, a trading call regarding the securities. In addition, SBG Sec may have issued, and may in the future issue, other reports that are inconsistent with, and reach different conclusions from, the information presented in the Report. Those reports reflect the different assumptions, views and analytical methods of the analysts who prepared them and SBG Sec is under no obligation to ensure that such other reports are brought to the attention of any recipient of the Report. The recipients of the Report are urged to seek independent advice with regard to investing in securities (whether such securities are referred to in the Report or generally). • the price, value of and income from any of the securities mentioned in the Report can fall as well as rise. The value of securities and financial instruments are subject to exchange rate fluctuations that may have a positive or adverse effect on the price or income of such securities or financial instruments. Please note that research analyst(s) who prepared the Report is/are not authorised to give investment advice and would not be in a position to discuss the contents of the Report with any retail investor. The Report may provide the addresses of, or contain hyperlinks to, websites. Except to the extent to which the Report refers to website material of SBG Sec and SB Group, SBG Sec has not reviewed the linked site and takes no responsibility for the content contained therein. Such address or hyperlink (including addresses or hyperlinks to SBG Sec or SB Group’s own website material) is provided solely for your convenience and information and the content of the linked site does not in any way form part of the Report. Accessing such website or following such link through the Report shall be at your own risk. By accepting the Report, you agree to be bound by the foregoing terms and limitations. The information and opinions stated in this document are of a general nature, have been prepared solely for information purposes and do not create any liability or obligation on SBG Securities Proprietary Limited (“SBG Sec”) nor does it constitute an offer, a solicitation of an offer, an invitation to acquire any security or investment, any advice or recommendation to conclude any transaction (whether on the indicative terms or otherwise) or enter into any agreement and must not be deemed as such. Transactions described in this material may give rise to substantial risk and are not suitable for all investors. It is strongly recommended that every recipient seek appropriate independent professional advice before acting on any information contained herein, as SBG Sec provides no opinion or advice including investment, tax or legal and makes no representation or warranty about the suitability of a product for a particular client or circumstance. SBG Sec will only provide investment advice if specifically agreed to by SBG Sec in appropriate documentation, signed by SBG Sec. This document shall not be reproduced or used, in whole or in part, for any purpose other than for the consideration of the information set out herein, without the prior written consent of SBG Sec. This document is not directed to, or intended for distribution to or use by, any person or entity who is a citizen or resident of or located in any locality, state, country or other jurisdiction where such distribution, publication, availability or use would be contrary to law or regulation or which would subject SBG Sec to any registration or licensing requirement within such jurisdiction. Any information, indicative price quotations, disclosure materials or analyses, to the extent applicable, provided to you have been prepared on assumptions and parameters that reflect good faith determinations by SBG Sec or that have been expressly specified by you and do not constitute advice by SBG Sec and it should not be relied upon as such. The information, assumptions and parameters used are not the only ones that might reasonably have been selected and therefore no guarantee is given as to the accuracy, completeness, or reasonableness of any such information, quotations, disclosure or analyses. No representation or warranty is made that any indicative performance or return indicated will be achieved in the future and the past performance of any investment product is not an indication of future performance. Whilst every care has been taken in preparing this document, no representation, warranty or undertaking, express or implied, is given as to the accuracy or completeness of the information or representations. All information contained herein is subject to change after publication at any time without notice. Any transaction that may be concluded pursuant to this document shall be in terms of and confirmed by the signing of appropriate documentation, on terms to be agreed between the parties. This document creates no liability or obligation on SBG Sec. SBG Sec may have effected or may effect transactions for its own account in any investment outlined in this document or any investment related to such an investment. This document may provide the addresses to websites. Except to the extent to which this document refers to website material of SBG Sec, SBG Sec has not reviewed the linked site and takes no responsibility for the content contained therein. Accessing such website/s or following such link/s shall be at your own risk. The information contained herein is to be used at your own risk, and SBG Sec makes no representation with regards to the correctness of the information herein. By accepting this document, you agree to be bound by the foregoing terms and limitations. All observations, comments and information made available therein are for information purposes only and does not constitute an invitation or an offer to subscribe for or purchase any of the products or services mentioned. The information provided is by no means intended to provide a sufficient basis on which to make an investment decision. It is intended only to provide observations and views of the relevant contributor, which may be different from, or inconsistent with, the observations and views of SBG Securities Proprietary Limited (“SBG Sec”). Observations and views of the said contributor may change at any time without notice. Information and opinions presented therein by SBG Sec may have been obtained or derived from sources believed by SBG Sec to be reliable, but SBG Sec makes no representation as to their accuracy or completeness thereof. SBG Sec accepts no liability for loss arising from the use of or reliance on the material. Any information, illustrative prices, disclosure materials or analyses made available therein by SBG Sec have been prepared on assumptions and parameters that reflect good faith determinations by SBG Sec and do not constitute advice by SBG Sec and it should not be relied upon as such. The information, assumptions and parameters used are not the only ones that might reasonably have been selected and therefore no guarantee is given as to the accuracy, completeness, or reasonableness of any such information, quotations, disclosure or analyses and accordingly SBG Sec makes no representation and assumes no liability for the accuracy or completeness of the information made available nor for any loss arising from any investment based on any material available therein. 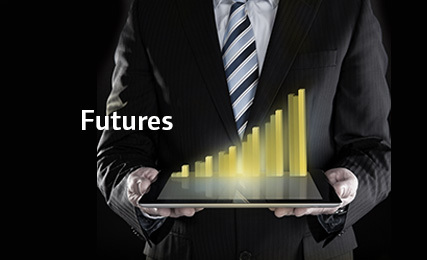 The past performance of any securities or other products is not an indication of future performance. No representation or warranty is made by SBG Sec that any indicative performance or return indicated will be achieved in the future. This video presentation is provided on the express understanding that the information contained therein would be regarded and treated as proprietary to SBG Securities Proprietary Limited (“SBG Sec). This video presentation shall not be reproduced or used, in whole or in part, for any purpose other than for the consideration of the information set out therein, without the prior written consent of SBG Sec. This video presentation has been prepared solely for information purposes by SBG Sec and accordingly do not constitute an offer, a solicitation of an offer, invitation to acquire any security or to enter into any agreement, or any advice or recommendation to conclude any transaction (whether on the indicative terms or otherwise) and must not be deemed as such. This video presentation is not an official confirmation of terms, does not represent an express or implied offer, nor does it create any liability or obligation on SBG Sec. Any rates, levels and prices quoted herein or verbally presented are indicative only and although reflective of market conditions prevailing at the relevant time do not constitute an offer to transact at such levels and are supplied for illustrative purposes only. Any transaction or agreement to perform certain services that may be concluded pursuant to this video presentation shall be in terms of and confirmed by the signing of appropriate documentation, on terms to be agreed between the relevant parties. The information in the video presentation may change without notice. Prospective investors should obtain independent advice in respect of any product detailed in this video presentation, as SBG Sec provides no opinion or advice including investment, tax or legal advice and makes no representation or warranty about the suitability of a product for a particular client or circumstance. Transactions described in this video presentation may give rise to substantial risk and are not suitable for all investors. SBG Sec will only provide investment advice if specifically agreed to by SBG Sec in appropriate documentation, signed by SBG Sec. This information is to be used at your own risk, and SBG Sec makes no representation with regards to the correctness of the information herein. SBG Sec accepts no liability whatsoever for any expenses, loss or damages howsoever incurred, or suffered, resulting or arising from you viewing the video presentation. By viewing this video presentation, you agree to be bound by the foregoing terms and limitations. Any information, indicative price quotations, disclosure materials or analyses provided to you have been prepared on assumptions and parameters that reflect good faith determinations by SBG Sec or that have been expressly specified by you and do not constitute advice by SBG Sec and it should not be relied upon as such. The information, assumptions and parameters used are not the only ones that might reasonably have been selected and therefore no guarantee is given as to the accuracy, completeness, or reasonableness of any such information, quotations, disclosure or analyses. No representation or warranty is made that any indicative performance or return indicated will be achieved in the future and the past performance of any investment product is not an indication of future performance. This document together with any associated verbal presentation are provided on the express understanding that the information contained therein would be regarded and treated as proprietary to SBG Securities Proprietary Limited (“SBG Sec”). This document and associated presentation shall not be reproduced or used, in whole or in part, for any purpose other than for the consideration of the information set out therein, without the prior written consent of SBG Sec. This document and any associated verbal presentation have been prepared solely for information purposes by SBG Sec and accordingly do not constitute an offer, a solicitation of an offer, invitation to acquire any security or to enter into any agreement, or any advice or recommendation to conclude any transaction (whether on the indicative terms or otherwise) and must not be deemed as such. This document together with any associated verbal presentation are not an official confirmation of terms, do not represent an express or implied offer, nor do they create any liability or obligation on SBG Sec. Any rates, levels and prices quoted herein or verbally presented are indicative only and although reflective of market conditions prevailing at the relevant time do not constitute an offer to transact at such levels and are supplied for illustrative purposes only. Any transaction or agreement to perform certain services that may be concluded pursuant to this document and/or any associated verbal presentation shall be in terms of and confirmed by the signing of appropriate documentation, on terms to be agreed between the relevant parties. The information in the document and any verbal presentation accompanying it are also subject to change without notice. SBG Sec, or an associated company, may have effected or may effect transactions for its own account in any investment outlined in this document or any associated verbal presentation or any investment related to such an investment. Prospective investors should obtain independent advice in respect of any product detailed in this document and/or associated verbal presentation, as SBG Sec provides no opinion or advice including investment, tax or legal advice and makes no representation or warranty about the suitability of a product for a particular client or circumstance. Transactions described in this document and any associated verbal presentation may give rise to substantial risk and are not suitable for all investors. SBG Sec will only provide investment advice if specifically agreed to by SBG Sec in appropriate documentation, signed by SBG Sec. This information is to be used at your own risk, and SBG Sec makes no representation with regards to the correctness of the information herein. By accepting this document, you agree to be bound by the foregoing terms and limitations. This video presentation together with any associated verbal presentation are provided on the express understanding that the information contained therein would be regarded and treated as proprietary to SBG Securities Proprietary Limited (“SBG Sec”). This video presentation and associated any verbal presentation shall not be reproduced or used, in whole or in part, for any purpose other than for the consideration of the information set out therein, without the prior written consent of SBG Sec. This video presentation and any associated verbal presentation have been prepared solely for information purposes by SBG Sec and accordingly do not constitute an offer, a solicitation of an offer, invitation to acquire any security or to enter into any agreement, or any advice or recommendation to conclude any transaction (whether on the indicative terms or otherwise) and must not be deemed as such. This video presentation together with any associated verbal presentation are not an official confirmation of terms, do not represent an express or implied offer, nor do they create any liability or obligation on SBG Sec. Any rates, levels and prices quoted herein or verbally presented are indicative only and although reflective of market conditions prevailing at the relevant time do not constitute an offer to transact at such levels and are supplied for illustrative purposes only. Any transaction or agreement to perform certain services that may be concluded pursuant to this video presentation and/or any associated verbal presentation shall be in terms of and confirmed by the signing of appropriate documentation, on terms to be agreed between the relevant parties. The information in the video presentation and any verbal presentation accompanying it are also subject to change without notice. SBG Sec, or an associated company, may have effected or may effect transactions for its own account in any investment outlined in this video presentation or any associated verbal presentation or any investment related to such an investment. Prospective investors should obtain independent advice in respect of any product detailed in this video presentation and/or associated verbal presentation, as SBG Sec provides no opinion or advice including investment, tax or legal advice and makes no representation or warranty about the suitability of a product for a particular client or circumstance. Transactions described in this video presentation and any associated verbal presentation may give rise to substantial risk and are not suitable for all investors. SBG Sec will only provide investment advice if specifically agreed to by SBG Sec in appropriate documentation, signed by SBG Sec. This information is to be used at your own risk, and SBG Sec makes no representation with regards to the correctness of the information herein. By accepting this video presentation, you agree to be bound by the foregoing terms and limitations. The information and opinions stated in this document are of a general nature, have been prepared solely for information purposes and do not create any liability or obligation on SBG Securities Proprietary Limited (“SBG Sec”), nor does it constitute an offer, a solicitation of an offer, an invitation to acquire any security or investment, any advice or recommendation to conclude any transaction (whether on the indicative terms or otherwise) or enter into any agreement and must not be deemed as such. Certain transactions and products described in this material may give rise to substantial risk and are not suitable for all investors. 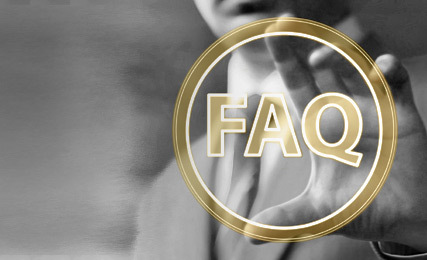 It is strongly recommended that every recipient seek appropriate independent professional advice before acting on any information contained herein, as SBG Sec provides no opinion or advice including investment, tax or legal and makes no representation or warranty about the suitability of a product for a particular client or circumstance. Such independent professional advice should be sought subject to SBG Secs’ prior written consent. SBG Sec will only provide investment advice if specifically agreed to by SBG Sec in appropriate documentation, signed by SBG Sec. Whilst every care has been taken in preparing this document, no representation, warranty or undertaking, express or implied, is given as to the accuracy or completeness of the information or representations. All information contained herein is subject to change after publication at any time without notice. Any transaction that may be concluded pursuant to this document shall be in terms of and confirmed by the signing of appropriate documentation, on terms to be agreed between the parties. SBG Sec or an associated company may have effected or may effect transactions for its own account in any investment outlined in this document or any investment related to such an investment. This document shall not be reproduced or used, in whole or in part, for any purpose other than for the consideration of the information set out herein, without the prior written consent of SBG Sec. All references to SBG Sec include its holding company, affiliates, directors, employees or professional advisors. 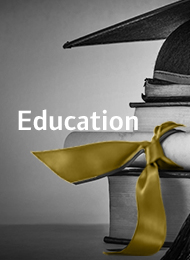 References to securities and asset allocation are included for illustrative purposes only. The composition of the portfolio is periodically reviewed and rebalanced. 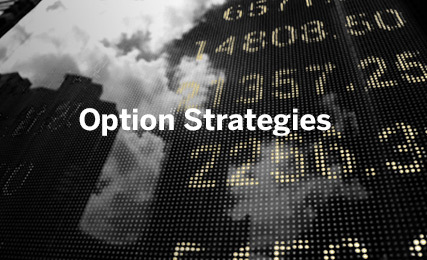 Varying market conditions, timing of portfolio changes and the level of client discretion may result in some variances between actual and model portfolio composition and performance. Investments described in this material may give rise to substantial risk and are not suitable for all investors. Performance figures are gross of fees and portfolios represent SBG Securities Propriety Limited’s house view. The information and opinions stated in this document are of a general nature, have been prepared solely for information purposes and do not create any liability or obligation on SBG Securities Proprietary Limited (“SBG Sec”) nor does it constitute an offer, a solicitation of an offer, an invitation to acquire any security or investment, any advice or recommendation to conclude any transaction (whether on the indicative terms or otherwise) or enter into any agreement and must not be deemed as such. Transactions described in this material may give rise to substantial risk and are not suitable for all investors. It is strongly recommended that every recipient seek appropriate independent professional advice before acting on any information contained herein, as SBG Sec provides no opinion or advice including investment, tax or legal and makes no representation or warranty about the suitability of a product for a particular client or circumstance. Such independent professional advice should be sought subject to SBG Sec’s prior written consent. SBG Sec will only provide investment advice if specifically agreed to by SBG Sec in appropriate documentation, signed by SBG Sec. The Standard Bank of South Africa Limited, its subsidiaries and associate companies (the bank, we, us, our) treat personal information we collect through this website, associated websites, mobile sites, mobile applications and other channels as private and confidential. We collect personal information directly from you, and where lawful and reasonable, we may collect personal information about you from third parties and publicly available sources, such as credit reporting and government agencies for the purposes set out below. you agreed that we may disclose your information. We ask individuals, organisations and our subsidiaries and affiliates for support. When we do this, they have to agree to our privacy principles, associated policies and practices. We will not disclose your personal information to external organisations that are not our service providers, unless you gave us your consent, or unless we may do so by law, or if it is necessary for the conclusion or performance of our agreement with you. If you give us permission, we may use your personal information to tell you about products, services and special offers from us or other companies that may interest you. 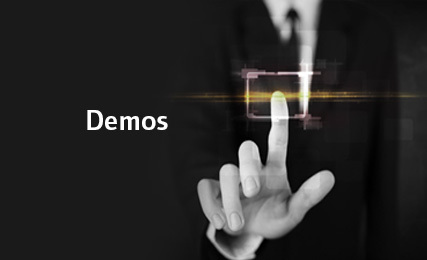 We will do this through email, text message (SMS), social media platforms or notify you on your mobile applications. If you later decide that you do not want us to do this, please contact us through our customer service channels to stop this service. You should read the security tips and updates on our website regularly to make sure that you benefit from our security systems, and stay updated with the latest fraud scams and trends. As a customer of the bank, you may: (a) ask us to give you a description of your personal information that we hold; and (b) ask us to correct or update your personal information through our customer service channels. We may, if allowed by law, charge a fee for this. While you are using our websites or mobile applications, we automatically process certain personal information, such as visits to our website. We use this information to find out which areas of our website people visit most and to monitor the use of our websites. This helps us to add more value to our services. This information is gathered in such a way that we do not get personal information about any individual or their online behaviour on other websites. We use cookie technology on some of our websites. A cookie is a small text file that is saved on your Internet browser when you use our website. The cookie is sent to our computer each time you visit our websites. Cookies make it easier for us to give you a better experience online. These cookies are temporary and only exist while you browse our website. As soon as you close your browser or move to a different website, they are removed. They allow our website to link your actions during a browser session. These are permanent cookies that are stored on your device until they reach a set expiry date or until you delete them. They remember your preferences or actions across our site (or in some cases across different websites). We may use them for various reasons, such as remembering your preferences and choices when using our site, or to display only relevant advertising messages to you. These cookies are owned and created by us. These cookies are owned and created by another company that provides a service to us, such as social media sharing, website analytics or content remarketing. You can stop your browser from accepting cookies by changing the settings on your web browser. Be aware that restricting cookies may impact the functionality of our websites. We recommend that you allow cookies. On most browsers cookies are enabled by default. Explore the settings and options on your browser to disable or enable them, or visit https://www.aboutcookies.org for detailed information about managing cookies on various browsers. We communicate with you through different methods and channels. If allowed by law, we may record and monitor electronic communications to make sure that they comply with our legal and regulatory responsibilities and internal policies. We will monitor and analyse your account for credit, fraud, compliance and other risk-related purposes as required by law. 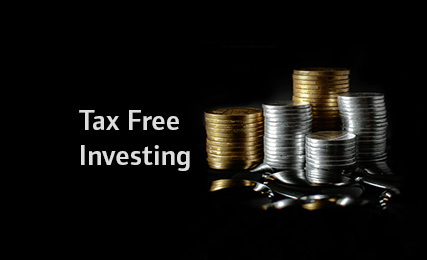 We do not give investment, tax or other professional advice on social media sites. You should always get independent advice before making any decisions. When you engage with us through social media your personal information may be processed by the site owner; this process is outside our control and may be in a country outside South Africa that may have different privacy principles. Social media sites are not appropriate forums to discuss our customers' products or financial arrangements. We will not ask you to share personal, account or security information on social media sites. We regularly update and monitor our social media accounts and welcome feedback and ideas sent to us through these channels. We try to join conversations whenever possible, but cannot guarantee that we will read or reply to all messages sent to official Standard Bank social media accounts. Emerging themes and helpful suggestions will be given to the relevant people within the bank for consideration, but we cannot guarantee that any themes or suggestions will be acted on. We will take note of your rights under applicable privacy and data protection laws, especially your right to object, on reasonable grounds, to certain types of processing. You have the right to query a decision that we make about a product or service that you have applied for and that was made solely by automated means. Diners Club (S.A.) (Pty) Ltd, Standard Bank Financial Services Holdings (Pty) Ltd, Standard Offshore Finance Company (Pty) Ltd, Melville Douglas Investment Management (Pty) Ltd, FHPManagers (Pty) Ltd, Standard Trust Limited, Standard Insurance Limited, Stanhold Investments (Pty) Ltd, Greenfield Newgate (Pty) Ltd, The Unisec Group Limited, Standard Bank Properties (Pty) Ltd, Blue Waves Properties 78 (Pty) Ltd, SBG Securities (Pty) Ltd.
To find out more details on any of our rates, please contact our call centre.